Ben Greenfield serves as the Rabbi of Bais Abraham Congregation, in Saint Louis, MO. 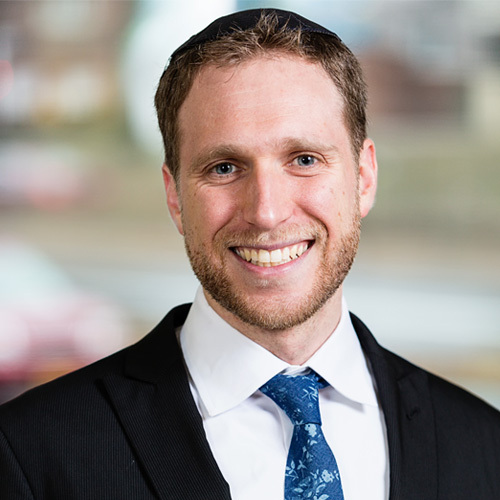 Originally from Los Angeles, Ben was trained at Yeshivat Har Etzion, Yeshiva University, Oxford, and Johns Hopkins, and was awarded Tikvah Fund and Wexner Graduate fellowships. Ben is a founder of the Upper West Side Moishe House, where he coordinated 200+ Jewish communal events for over 5,000 Manhattan Jews, while also serving at Rikers Island Correctional Facility as the High Holidays and Passover rabbi. His writing was awarded the Whizin Prize in Jewish Ethics and he is the author of a cycle of original liturgy for Shavuot, Purim, and Yom HaShoah. Ben loves squash (the sport), faux-organic cooking, and finger percussion.